To install this or any other APK file, please refer to our quick Kindle Fire APK installation guide. Sorry I am a newbie but the link for the latest chrome all does not work for me? Just been warned of problem with Chrome and access to stored passwords. In essence "Don't Store"
If you're using the Google Chrome browser I'm afraid I've got some bad news. A new security flaw in the browser means that I would advise you stop using it immediately. The problem isn't a software bug as such, but a feature that is badly implemented. You see, if anyone manages to get access to your computer - even for a second - they can see all of the website passwords that you have stored in Chrome. All the attacker needs to do is click on the password then click Show to view it in plain text. Chrome also uses your Google account to synchronise these passwords between all your copies of Chrome. So, if you store your passwords on your desktop machine because you think no one is likely to get access to it, the passwords can still be transmitted to your laptop and fall into the wrong hands. The ability of a web browser to store passwords is extremely useful. To be completely safe online, you need to set a different password for every website you visit, in case one website gets hacked then the others are still protected. Keeping track of all these different passwords is a nightmare, so if your browser can do it for you securely, it's a big help. But in the case of Chrome it isn't done securely, which is why I'm advising that you ditch this browser. After all, if they've implemented this feature so badly, what's to say there aren't loads more security weaknesses just waiting to be discovered? Type chrome://settings/ into the address bar of the browser and press [Enter]. Untick all of the options under Passwords and forms. 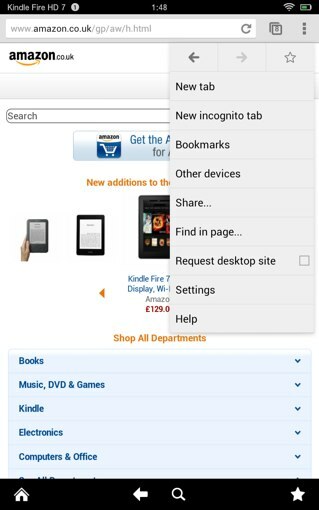 i've downloaded the chrome APK onto my computer but it's an acrobat file, god knows why & it won't open on my computer and won't download onto my kindle.... help ! !